A spokesman for the musical impresario said he was "very interested" in buying the studios, as it was "vital" they were saved for the music industry. The move comes just days after EMI announced it would be offloading Abbey Road, made famous by The Beatles' eponymous album, because the site was "not an integral part of the business". The announcement has thrown the future of the world's oldest purpose-built recording studios into doubt, at a time when many believe digitisation will make such facilities redundant. But now Lord Lloyd-Webber, the force behind musicals such as Joseph and the Amazing Technicolour Dreamcoat and The Phantom of the Opera, has indicated a serious intent to buy. He continued: "He thinks it is vital that the studios are saved for the future of the music industry in the UK. "Abbey Road has such great facilities, with three major recording studios, and Andrew has probably brought more musicians to record there than anyone else, because it has the capacity to record large orchestral productions." There has been speculation that Abbey Road could be worth as much as £30 million. Last night Sir Tim Rice indicated he might be interested in joining a consortium. However, he said Lord Lloyd-Webber had not discussed it with him. Asked if he was interested, he said: "It depends. If there's a consortium with Andrew or Paul [McCartney] or somebody, I would not be uninterested." But he cautioned: "I would need to know a lot more about it. Does it have a future? Because people can make a recording in their front rooms nowadays. If it's just history then it's hard to justify." However, he said he loved the studios because of the creative energy that resonated within its walls. "You need that bouncing off people and the sense of occasion," he said. 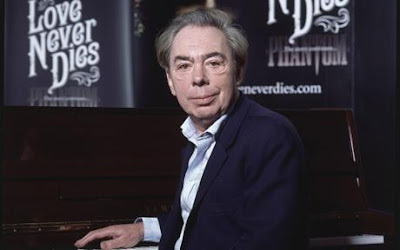 While other major figures in the entertainment industry have made noises about the sale, until Lord Lloyd-Webber none had put their hands up to declare an interest in buying the studios. On Tuesday Sir Paul McCartney said: "There are a few people who have been associated with the studio for a long time who were talking about mounting some bid to save it. I sympathise with them. I hope they can do something, it'd be great. I have got so many memories there with the Beatles." Chris Evans, the BBC Radio 2 disc-jockey, said: "If I was a gazillionaire, like I used to be, I wouldn't think twice about snapping it up. This is a must buy, must have – the ultimate in Beatles memorabilia." He suggested the National Trust purchase the building, which resulted in a flood of public support for the idea. Abbey Road has a heavyweight claim as a serious heritage site. It become the first purpose-built recording studios in the world in 1929 when The Gramophone Company, EMI's forerunner, purchased the white-stucco fronted Georgian mansion for £100,000. The National Trust is seriously considering buying in. A spokesman said: "We are very touched and excited about the way the public have responded. We are going to see if there's any way we can play a role." Is "Sir" Paul McCartney pass this one out? Again? Is a cheesy composer like Lloyd-Webber likely to join the infamous list of those who outsmarted Macca and the Beatles as well?? ?